Malva fiber was submitted to alkali treatments with NaOH aqueous solutions at different concentrations, times and temperatures. Fiber samples were analyzed before and after treatments to study their effects on crystallinity, thermal stability and morphology. The results showed that the crystallinity index and thermal resistance significantly increased when the alkaline treatment was conducted with 7 % NaOH solution. Higher concentrations of NaOH, such as 10, 15 and 20 %, did not considerably increase the fiber crystallinity index. By X-ray diffraction, it was observed that defibrillation occurred in mercerized fibers, which is expected to be advantageous for use as fiber reinforcement in polymer matrices. The same fiber samples were mixed with a poly(3-hydroxybutyrate) matrix in a twin-screw mini-extruder at 453 K. The composites were analyzed by TGA and DMA to evaluate the influence of fiber addition in mechanical and thermal properties of the polymer. Nahar S., Khan R., Dey K. et al. : J. Thermoplast. Compos. Mater., 2011, 25, 15. Reddy K., Maheswari C., Shukla M. et al. : Composites Part B, 2013, 44, 433. Salazar M., Mina J. and Franco P.: Composites Part B, 2013, 55, 345. Woehl M., Canestraro C., Mikowski A. et al. : Carbohydr. Polym., 2010, 80, 866. Samir M., Alloin F. and Dufresne A.: Biomacromol., 2005, 2, 612. Kalia S., Dufresne A., Cherian B. et al. : E. Int. Polym. 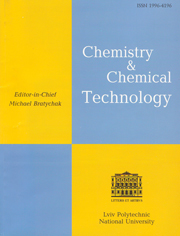 Sci., 2011, doi:10.1155/2011/837875. Li X., Tabil L. and Panigrahi S.: J. Polym. Environ., 2007, 15, 25. Parida C., Dash S. and Das S.: Int. J. Fiber Text. Res., 2013, 1, 13. Grafova I., Kemell M., Lunz J. et al. : Chem. Vap. Deposition, 2011, 17, 58. Gu H.: Mater. Des., 2009, 9, 3931. Hay A., Suardana N., Jung D. et al. : Int. J. Precis. Eng. Manuf., 2012, 13, 1199. Islam M., Beg M. and Gupta A.: J. Thermoplast. Compos. Mater., 2012, 8, 1. Mishra S., Mohanty A., Drzal L. et al. : Compos. Sci. Technol., 2003, 63, 1377. Mohanty A., Misra S. and Drzal L.: Compos. Interface, 2001, 8, 313. Pires E., Merlini C., Qureshi H. et al. : Polimeros, 2012, 4, 339. Rokbi M., Osmani H., Imad A. and Benseddiq N.: Procedia Eng., 2011, 10, 2092. Kim J. and Netravali A.: Composites Part A, 2010, 41, 1245. Jayabal S., Sathiyamurthy S., loganathan K. and Kalyanasundaram S.: Bull. Mater. Sci., 2012, 4, 567. Correa A., Teixeira E., Pessan L. and Mattoso L.: Cellulose, 2010, 17, 1183. Nitta Y., Noda J., Goda K.and Lee W-I. : 18th Int. Conf. on Composite Materials., South Korea, Jeju Island 2011. John M. and Anandjiwala R.: Polym. Compos., 2008, 29, 187. Satyanarayana K., Guimaraes J. and Wypych F.: Composites Part A, 2007, 7, 1694. Barkoula N., Garkhail S. and Peijs T.: J. Reinf. Plast. Comp., 2010, 29, 1366. Liu L., Yu J., Cheng L. and Qu W.: Composites Part A, 2009, 40, 669. Rojo E., Alonso M., Dominguez J. et al. : J. Appl. Polym. Sci., 2013, 3, 2198. Panaitescu D., Frone A., Ghiurea M. et al. : Advances in composite materials – Ecodesign and Analysis. 2011, 103. Jordanov I. and Mangovska B.: Indian J. Fibre Text. Res., 2011, 36, 259. Kabir M., Wang H., Lau K. and Cardona F.: Appl. Surf. Sci., 2013, 276, 13. Siroky J., Siroka B. and Bechtold T.: Woven Fabrics. [in:] Jeon H.-Y. (Ed. ), Woven Fabrics, 2012, 179-204. Ashori A., Ornelas M., Sheshmani S. and Cordeiro N.: Carbohydr. Polym., 2012, 88, 1293. Visakh P. and Thomas S.: Waste Biomass Valorization, 2010, 1, 121. Karthikeyan A. and Balamurugan K.: J. Sci. Ind. Res., 2012, 71, 627. Wong K., Yousif B. and Low K.: Proc. Inst. Mech. Eng. L, J. Mater. Des. Appl., 2010, 224, 139. Macedo J., Costa F., Tavares M. and Thire R.: Polym. Eng. Sci., 2010, 50, 1466. Anuar H., Ahmad S., Rasid R. et al. : J. Appl. Polym. Sci., 2008, 107, 4043. Cho D., Seo J., Lee H. et al. : Adv. Compos. Mater., 2007, 4, 299. Gen G., Ming S., Wen W. and Sheng S.: J. For. Res., 2006, 17, 315. Jiang L., Morelius E. and Zhang J.: J. Comp. Mater., 2008, 42, 2629. Graupner N. and J. Mussig: Composites Part A, 2011, 42, 2010.